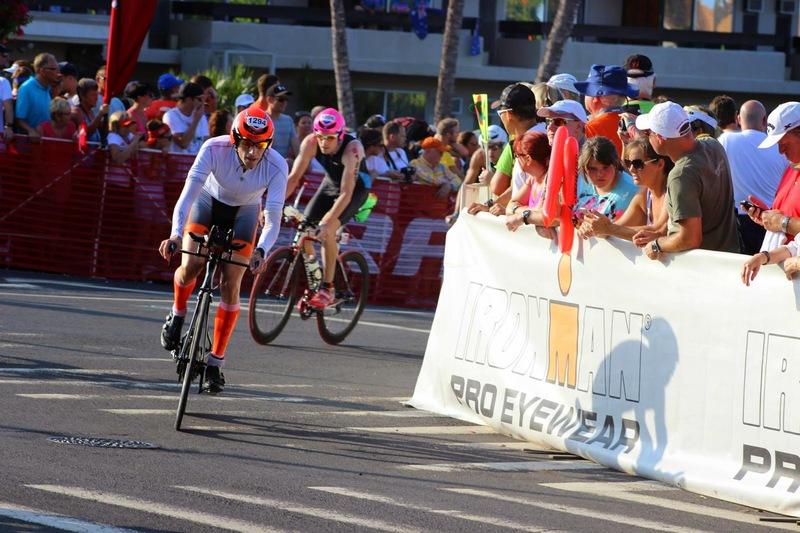 As many of you know this trip to Kona has been in the works since my crash in 2010. I laid out a 4 years plan to rebuild my fitness. 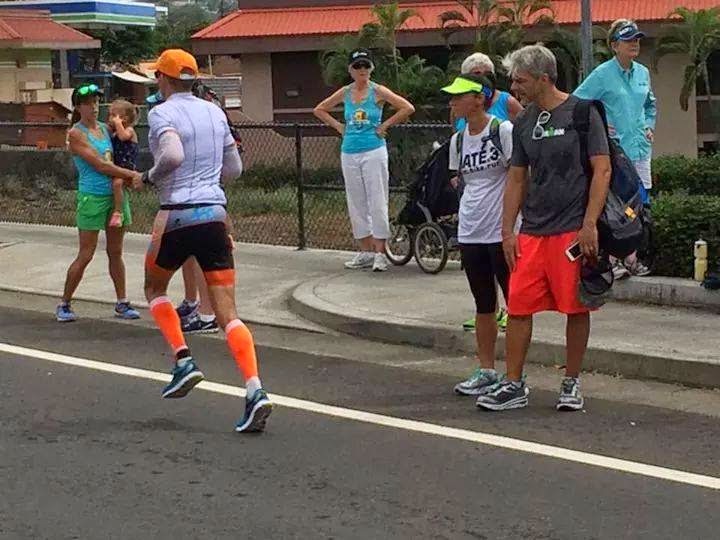 I arrived in Kona a week before the race in the best shape of my life. I knew I had prepared well with coach Blake and that fitness would not be an issue come race day. Adapting to the heat was a whole other story. My body likes to sweat....a lot. We tried really hard to get my body to adapt in training and I think it made a difference but in the end it was my biggest limiter on the day. In the swim I thought I was going well after a good start. I was in a good group of 10 swimmers and I felt the pace was ok. I was shocked when I exited the swim in an 1hr flat (thought it would be faster). Now, exiting the water in an 1hr is kind of like driving on the 401 in rush hour. I tried to pick my way through the bikers - it was the longest pace line I'd ever seen. I got out to the left and just had to keep passing guys so I wouldn't get called for drafting. Once up on the Queen K highway things settled a little and I found my rhythm. There was no real wind until about 40k into the bike and then it was full on for the next 60k and I loved it! After racing at Barrelman three weeks ago I was well trained in racing in the wind and it was the same yesterday. The climb to Hawi was 7 miles full on into 30 mile/hr headwinds. I was holding to my game plan and my legs felt great. 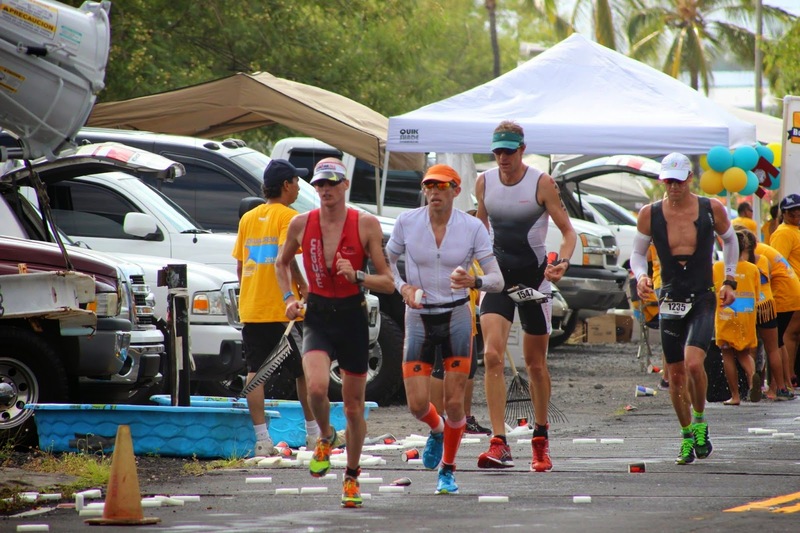 I caught Tony Frost at the turn in Hawi as he rocked the swim (credit to Rich's extra #‎nineteenspeedsuit). The way back from Hawi was so much fun we now rocked down the hill and into the cross winds and I was flying. I love this section of the course. It was now pushing noon and it was really getting hot. Heather said it hit 97 degrees out where you hop back on the Queen K Hwy to come home (this doesn't include the humidity). I was taking in 2 water bottles at every aid station trying to cool myself down. My HR was 25 bpm higher for the same effort all day. I was started to get worried I was pushing the internal system too much but I kept saying to myself I felt good. At 140k to 150k I had the most fun of the day. 20-30mi/hr tail wind on a flat section of road and I was going 65-68km/h pushing 230w. Then at 150k the wind just did a full and I mean 180 degree turn and we had head wind for the final 30k. I was still feeling good and had fun passing lots of guys who had over done it trying to hold onto the packs. I finished the bike strong and pulled into T2 at just over 6 hour into the race. To the run. I started off well but HR was pushing WAY too high. I was running 7min/mi and my HR was 155-160. At home I do my interval training at this HR and can run 5:50-6:00/mi pace. It was all about cooling the core down at every aid station I did the same thing. I was stuffing 2 sponges down my top, then two cups of ice down the top, ice water on my shirt and arm coolers. I would take in water and some form of sugar whether it be gel, perform, coke, or even Red bull. I changed it up each mile. I would come out of the aid station feeling awesome and within 1000m be looking for the yellow shirts of the aid station volunteers. By the time I reached the aid station I was overheating again and so I would repeat. The cloud cover on the back half of the marathon was a nice treat. My legs felt ok and my energy was ok. I was just stuck in a slow and steady pace. The final miles of the marathon were great. The stress of "can I make it" is gone and I had energy to push the last few hills. 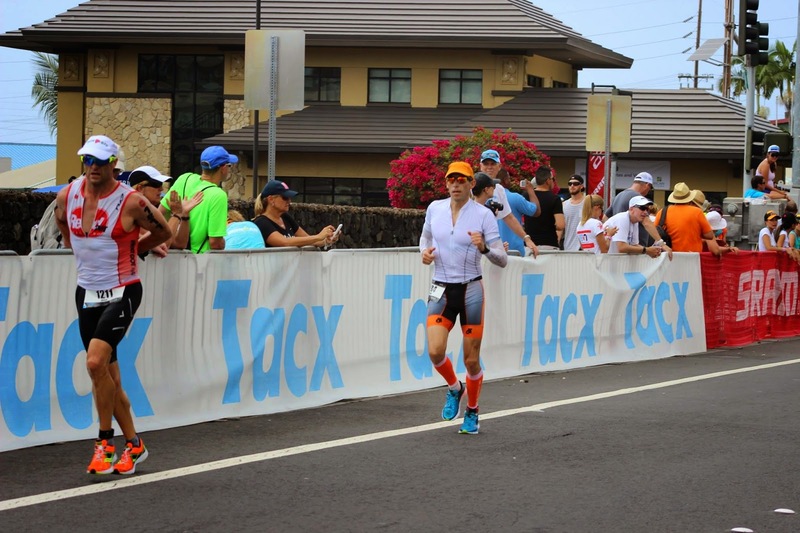 The finish line in Kona is always special and I crossed it with a new best time for here in Kona. I have to thank Heather and the kids for their massive support and to the Ayranto family for coming all the way to Hawaii to cheer me on. As well to all my clients, friends and family back home to sent such awesome messages thank you. And to my sponsors Nineteen Wetsuits, Darcy Haggith at Infinit Nutrition, and to Heath/ La Bicicletta. The future is wide open. I have said this is the end of my Ironman racing. I'm going to take on some new challenges of Xterra racing and look forward to hitting to trails soon. Need a Protein Boost? Healthy Mid-Morning Snack! Two More CrossFit Clubs on Board!! !